In our last post I introduced some issues regarding childhood obesity-–and want to continue discussing this important topic. Do you know the current recommendations for today’s youth? Do you know how much activity children receive in the schools? While organized sport programs have their place in youth fitness, participation in physical activity should not start there. Chronic diseases mentioned in the previous posts are being diagnosed earlier, and finding activity that prevents these diseases is a multi-faceted problem due to safety, funding, parents, and several other reasons. Today we explore the history, controversy, requirements, and touch on our role as fitness professionals in meeting recommendations for youth movement. I really mean it. Have a conversation with someone who knew life without cable or cell phones. Do you remember planning activity as youth? Remember, activity is any movement outside of planned exercise, so we are not talking about a pick-up game or organized sport. I am willing to bet Baby Boomers would say no, they did not plan activity. These were the days when you came home as the street lights turned on. It was a regular part of our day to run around the park, play hide and seek, hopscotch, build forts, and bicycle to our friends’ houses. We did not know the role these activities played in our bodily health, strength, cognition, motor skill, and social development. As society began to understand the importance of movement, Physical Education (PE) started changing in the schools. Fast forward. Does anyone remember the Dodgeball Debate? In 2001, there was a movement to take this out of PE classes, a debate misunderstood. Some schools banned it from playgrounds, PE, and the media compared it to violence in America. Unfortunately, the latter became the take home message. As I understand it, this debate was an example of Darwinism, survival of the fittest and meeting requirements. 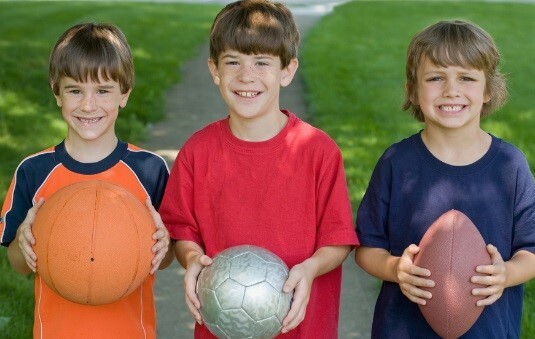 The most athletic kids tended to stay in the game the longest, and therefore, met requirements of having their heart rate in aerobic zones for 20-25 minutes. The less fit kids, the first out of the game, would not sustain their heart rate. Hence, PE teachers removed it from the curriculum. Though this is an example of planned exercise, the point remains that physical educators recognized that all kids needed to meet minimum aerobic requirements for health and wellness benefits. How did violence become the issue? America in denial? Though many people may not connect this, PE became more about participation and socialization, but dodgeball took the fall. Activities in the PE classroom were redefined. Unfortunately, funding has been an issue and recess has been greatly minimized (20-30 minutes per day, if at all). This is why we as fitness professionals need to educate parents on requirements for their children’s health and wellness outside of the schools. Improvements in musculoskeletal health, body composition, cardiovascular fitness, performance, and psychological well-being result with regular (5-7 days/week) participation in 60 minutes or more of moderate to vigorous physical activity including aerobic & strength training. I think this is a good time to point out that it does not have to be sport related as parents from other generations may remember. Please emphasize this! The Youth Fitness Pyramid illustrates the importance of FUNdamental fitness conditioning. This includes FUN strength, power, aerobic, flexibility, and agility exercises. All conditioning you can get from non-competitive games and movement on the playground. This will prevent mental and physical burnout or overuse injuries. Our job as fitness professionals is simple: Create programs that are developmentally appropriate and enjoyable in our fitness club! Try relay races, tag games where “frozen” participants do crunches or jump jacks, or take your youth on a hike for the day. Please feel free to create discussion around this topic and stay tuned for Blog 5 & 6 where we will discuss several other ideas for recreation games and lifestyle fitness programs! Previous post: Childhood Obesity: It’s Time for Us to Do SOMETHING! Next post: What Can You Do to Help Families Make Better Food Choices?